Two (2) Tiffany & Co. enamel bangle bracelets. 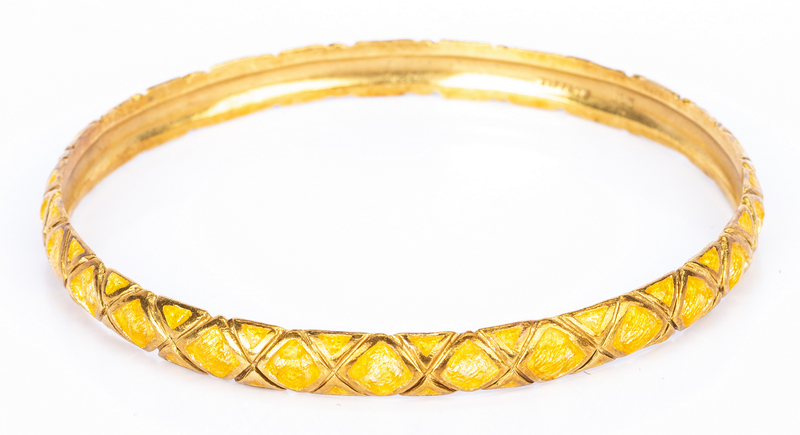 1st item: Yellow enameled 18K yellow gold Tiffany & Co. 6 mm wide round slip-on bangle bracelet, 7 1/2" interior circumference. 23.4 grams. 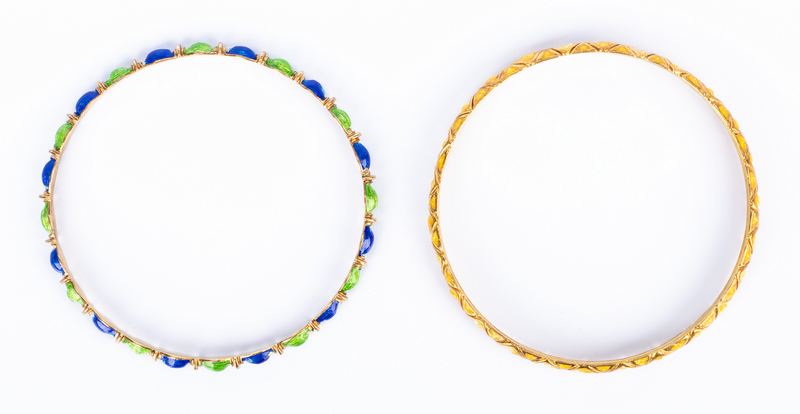 2nd item: Green and blue enameled 14K yellow gold Tiffany & Co. 4 mm round slip-on bangle bracelet, 7 1/2" interior circumference. 15.7 grams. Both bangles with gold mark and maker's mark on interior. Provenance: Nashville, TN estate. CONDITION: Scattered losses to enamel.